5 min read on how you can increase bookings by using immersive 3D tours for your vacation rental. Original article was posted here. We all want to engage, delight and easily convert visitors browsing our listings and then entice them back year after year. This is getting harder all the time but there is one simple way to help our beautiful holiday properties sell themselves and providing incredible visual content is actually one of the easiest things we can do. Allowing viewers to see, explore and understand your listing is the only way they will form a true connection to win them over. ACT Studios is a new partner. Their mission is to provide stunning, innovative and practical photography solutions, making everything they do straightforward and affordable for us. Having established a high-quality photography service for estate agents they were asked to start shooting holiday cottages and ski chalets. The team offer many flavours of photography including 3D immersive property tours for Toad Hall Cottages, Discovery Holidays, Helpful Holidays, Beach Retreats and more. Above is a live example of a 3D tour. The 3D tours are incredibly immersive and interactive. Viewers can walk around and explore each listing with complete control, even walking up and down the stairs. Better still, they all come with photographic floorplans, a ‘dolls-house’ architectural view and the ability to add annotations to highlight specific features, for example, sofa beds and views. Using high definition HDR photography means nice bright and warm visuals every time. Toad Hall Cottages were the first holiday company to commission ACT Studios. 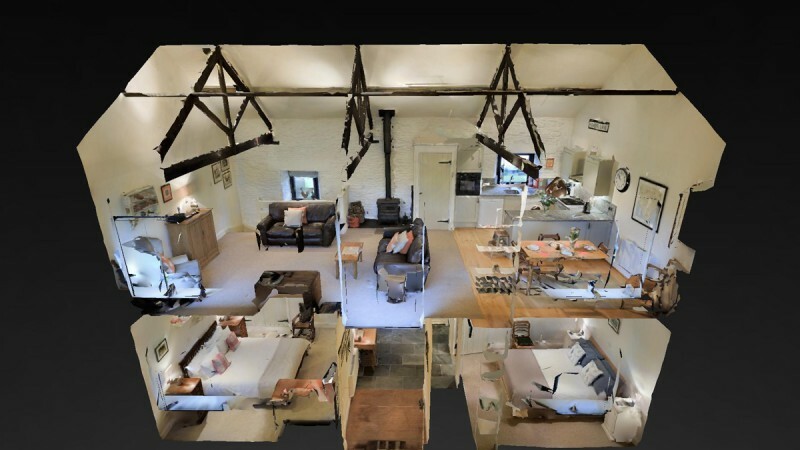 They started asking for the 3D shoots across a small selection of their cottage portfolio and after initial results and feedback added them to over 300 listings. ACT Studios tech guys help with design and embedding into websites. Everything is done for you, their photographers just need property access. The benefits are improved and faster booking conversions. They also help lower the number of questions raised during the booking journey, de-risking viewers waiting on answers from shopping elsewhere. Owners are thrilled as they can savour their holiday homes and views anytime and anywhere, together with saving them time and effort on property maintenance tasks. Getting your visual content right is always going to be the best opportunity you have to pique viewers interest and entice them to explore further. Even with all the superb technology readily available today, achieving really great property photography is not straightforward. As new Rentivo partners, the ACT Studios professional photography team are currently giving our subscribers fresh property images free with each property tour for a period of time if booked in advance now. Take a look at the new ACT Studios website for galleries, 3D tour examples, testimonials and more www.act-studios.co.uk.